Ever wondered why do children lose their baby teeth and when do they start loosing them. 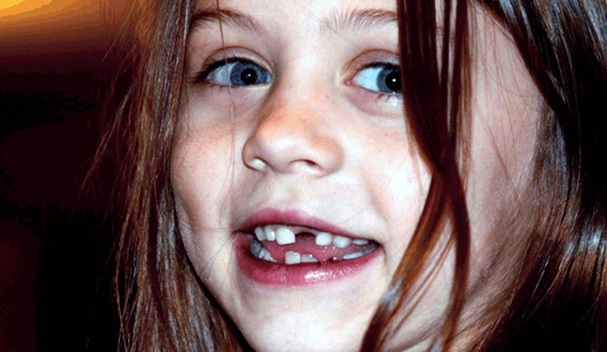 Moreover, when kids actually start losing their teeth, it gives them an adorable smile. The baby teeth, known as primary teeth, serve useful purposes like help baby chew solid food and talk. Let’s get to know why do their teeth pop out? When do they start to loose? Children usually start losing their primary teeth between the age of 6 to 7, when their jaws have grown to its mature size. The reason being the jaw of a baby is too small to accommodate permanent teeth anywhere below this age. During this period, the baby’s tooth root starts to dissolve, and the tooth begins to get loose.The loose tooth along the time, then eventually falls out since there is less root present to hold the tooth as the permanent tooth pushes upward. However, as the child grows the jaw and the jaw muscles grow to the required size and strength that is necessary to support permanent teeth. This is the initial stage of permanent teeth development that continues for the next 15 to 16 years, depending on when the teeth start to get loose and fall out. Baby teeth are responsible for providing space for the growth of permanent teeth that guides them into their proper position in the jaw. When the baby tooth falls out, a permanent tooth takes its place and begins to push through the baby’s gum. This process initiates between the ages of 6 to 9 when the incisors and first molars come in. The two front teeth are called central incisors and the bottom which are the first to fall out, the first molars at the top and lower jaw, are the first teeth to be replaced by the permanent teeth. The canines and molars which are the first and second premolars and second molars are not replaced by the age between 10 to 13. Now that you know why do kids lose their teeth and when does it starts, stop worrying and start enjoying their cutest smiles as you will not be able to watch them with their lost teeth once they gain permanent teeth.